Cityteam International is working to reach the lost in some of the most remote parts of East Africa. As God has continued to open up many new communities to receive the Gospel our local leaders are being stretched thin. One of our most significant challenges as this Disciple Making Movement in East Africa gains momentum has been transportation. Many of our disciple makers have to walk long distances each day and at times their journey can be up to 3 days to take the Gospel to an unreached community. In recent months we have seen God transforming communities through obedience-based discipleship where disciples are making other disciples and the cycle is continuing, with the help of motorcycles. Mosi*, one of our key disciple makers, has risked his health, life and safety to share God’s love with isolated communities. He routinely walked for days to reach communities who had never heard the Gospel message. The people groups he met with were very receptive and churches were started in various areas, but some would stop meeting because they lacked a mentor. Because of the distance Mosi was not able to visit all the new disciples with any regularity. 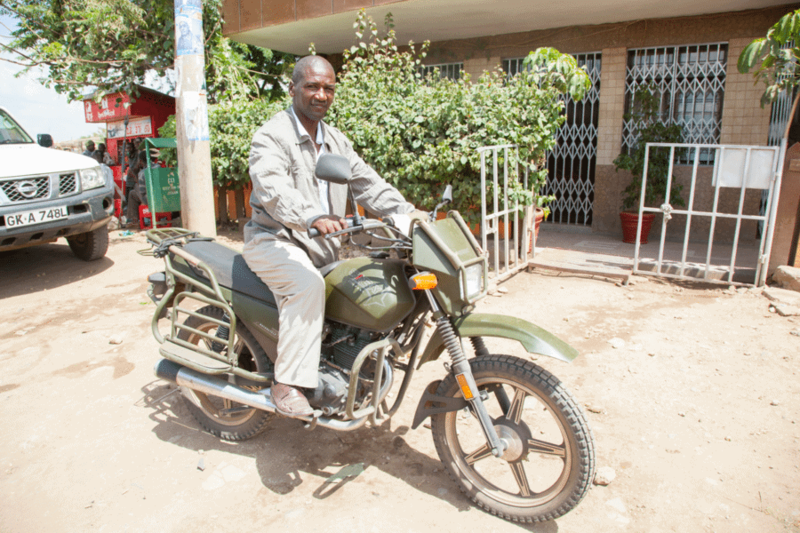 Through a gift from a generous donor we were recently able to provide Mosi with a motorcycle! Since I received the motorcycle things have really changed, I can now travel to even the furthest villages and reach more Africans with Hope and the Good News. A journey that used to take Mosi days now takes him only a few hours and when he arrives he has the strength to teach and share the Gospel message, when previously it would take at least a day to recover from the grueling trip. Along with his team members, Mosi has been able to visit the churches he has started, encourage them and continue to mentor local leaders that have emerged. These motorcycles are often the only form of ambulances in a 200 mile radius. So many lives are saved because someone could quickly take them to a medical clinic. But tragically there are many lives that never live another day to know God’s love for them. *Names are changed to protect the privacy and security of those we serve.